It is the means through which the Creator of the World lets us know the purpose of our life. It is the means used by our heart to make us realize the purpose of our life. Persons who are courageous enough to follow their dreams are the one who tastes success. And, when a person determined to achieve his dream, the whole Universe would conspire to see that the dreams are achieved! It would show omens which the mighty heart would read and rightly interpret. 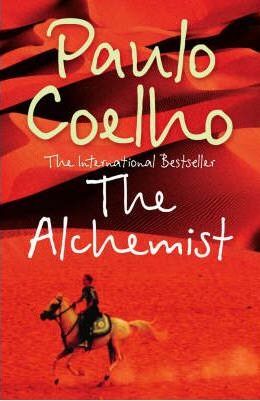 This is what I understood by reading a life-changing and thought-provoking book of Paulo Coelho – The Alchemist. It is a narration par excellence. The importance of following and realizing ones dream is narrated through Santiago, a shepherd who travels in search of a treasure. There are innumerous thought evoking moments in book. I myself have to read it again so that I could understand the book in per se and myself in particular. In a rather limited way, I was able to relate to the situations and what was said. I have always believed in one thing – If you really want something, it will be yours ultimately. There may be hurdles. There may be confusions. But, determination pays!! The book further reinforced that belief in me. The book is an International Bestseller. It has been read by millions and has been translated into many languages. From my reading experience, all I can say is that it is not reading. It is an experience by itself. It is a very small book stuffed with great thoughts. It will interest both the fiction lovers and non-fiction lovers equally! Please gather some time and read it.